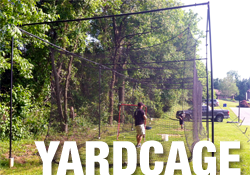 Light duty backyard batting cage frame perfect for home use. Medium duty outdoor batting cage frame with rib style sections supporting the net. 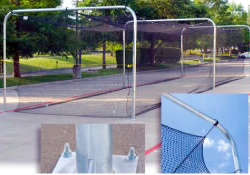 Batting cage frame with fewer ground holes than other systems. 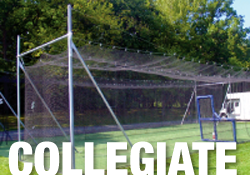 Heavy duty outdoor batting cage frame with a professional appearance. Need help deciding, check out our helpful post: The 3 Most Important Things to Consider When Buying and Installing Outdoor Batting Cages or check out the video below. 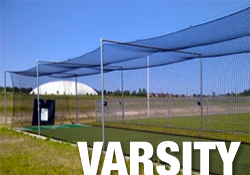 At a Glance Which In Ground Batting Cage System is right for you? Outdoor batting cage frames bolts down to pre poured concrete slabs. 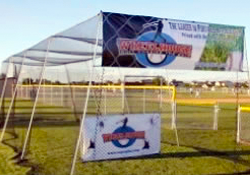 Light duty and portable outdoor batting cage frames. 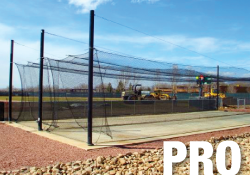 At a Glance Which Above Ground Batting Cage System is right for you?